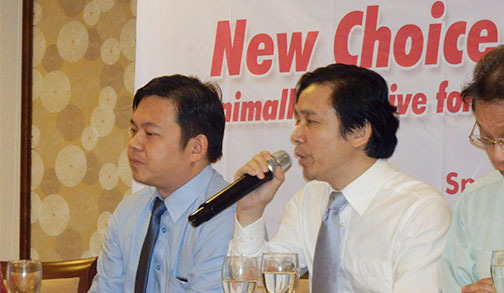 "2012 Health Journey" activities will be carried out as medical cancer forum in major cities of the Philippines. 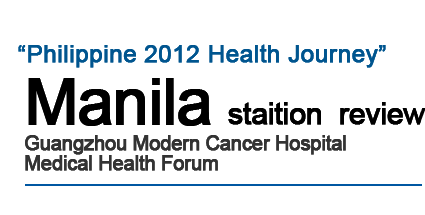 The theme " New Choice, New Hope" is the main lecture content for Modern Cancer Treatment and Prevention. 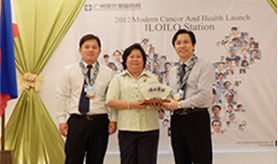 With the 2012 Health Journey as introduction in Philippine campaign for international anti-cancer technology, this is the most common hope of all sectors in Philippines and Guangzhou Modern Cancer Hospital. 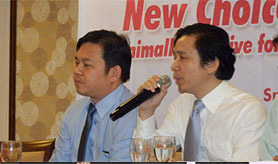 The activity will also establish a good foundation for exchange and discussion of medical profession in the Philippines. 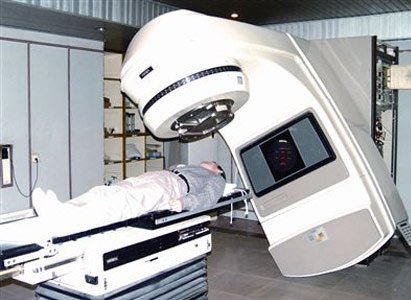 To promote the development of Philippine Medical Cancer and to solve the current faced problem in cancer treatment. 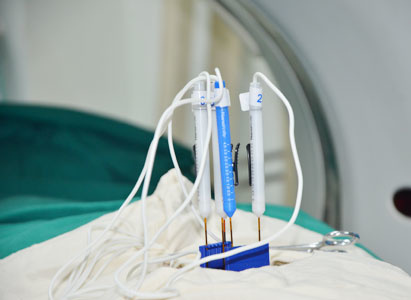 With a wealth of expeirence in research on and clincal practice of tumor treatment, especially expert at chemotherapy, endocrine therapy, molecular target therapy for various malignant tumors. 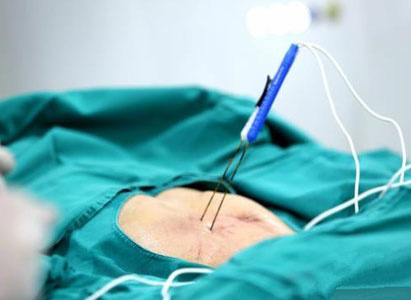 He is an advocate for minimally invasive therapy and multi-disciplinary therapy for tumor in China. November 15, 2012 at 3p.m. 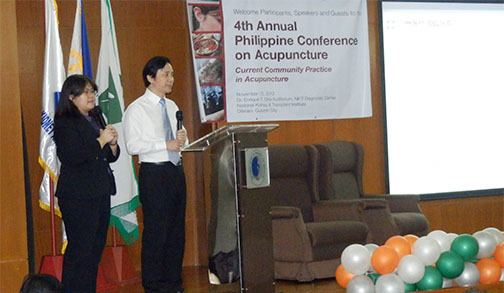 Philippine Academy of Acupuncture, Inc successfully organized its 4th Annual Scientific Convention along with Modern Cancer Hospital Guangzhou minimally invasive cancer treatment lecture in Dr. Enrique Ona Auditorium Quezon City, Philippines. 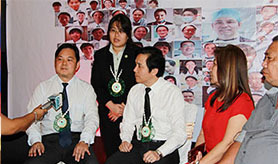 Guangzhou Modern Cancer Hospital expert Professor Peng Xiao Chi together with Manila office country manager Mr. Bennette He granted the invitation of PAAI member. 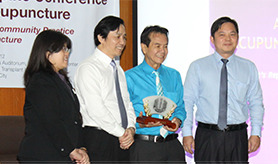 A total of 200 plus medical professionals attended the conference from Philippines, United States and other countries. 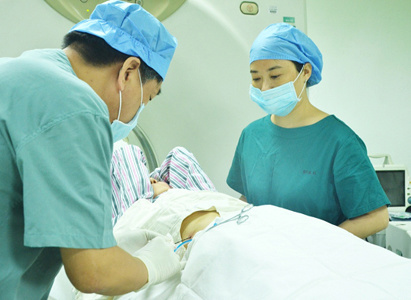 As a co-sponsor of the conference, Professor Peng Xiao Chi, a cancer specialist from Modern Cancer Hospital Guangzhou tackled the Combination of Chinese and Western Medicine, Cancer Treatment through Acupuncture, and application of Traditional Chinese Medicine in prevention and treatment as well as rehabilitation of cancer patient were thoroughly discussed. 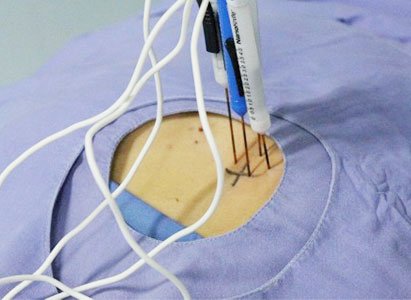 Modern Cancer Hospital Guangzhou minimally invasive treatment technology combined with Chinese medicine have been the effective treatment for growing number of cancer patients. 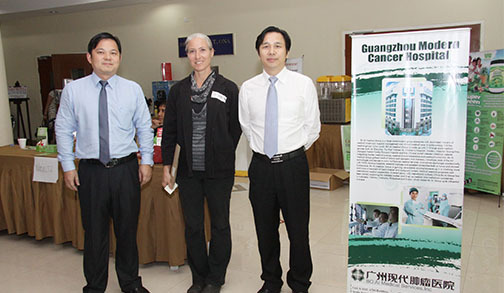 At 6 p.m. of November 15, 2012, the Philippines health journey “Modern Cancer Treatment and Prevention” was held successfully in Manila by Modern Cancer Hospital Guangzhou. 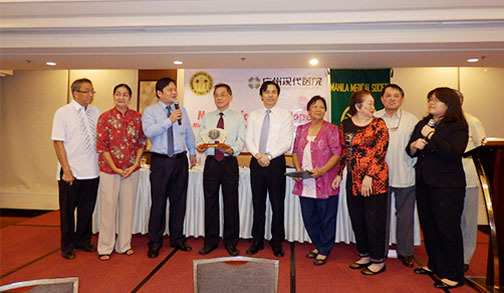 Professor Peng Xiaochi from Modern Cancer Hospital Guangzhou was invited to be the guest specialist by many local cancer patients and Manila Medical Association, besides, Mr. 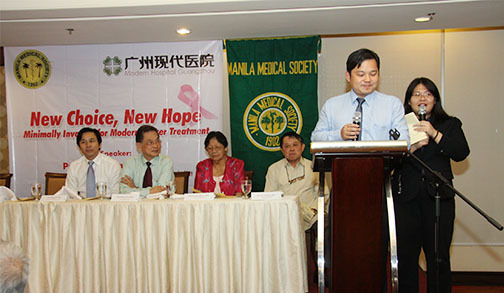 He Langbing, general manager of Manila office of Modern Cancer Hospital Guangzhou and Dr. Huang Wenchuan as well as representatives of Manila Medical Association, teachers and students of local medical schools and nearly 200 of citizens participated in this forum.